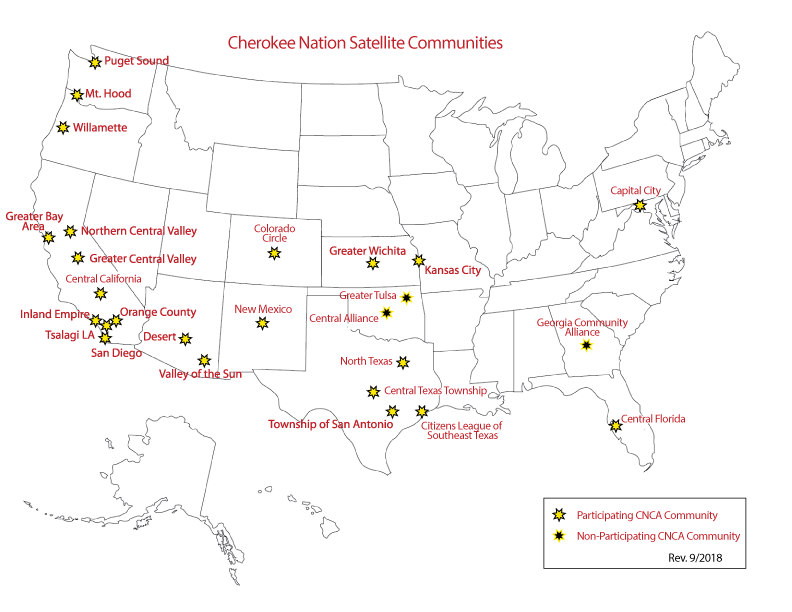 The Cherokee Nation Community Association consists of nearly two dozen Cherokee Community Organizations located across the continental United States. Each organization is organized in accordance with the CNCA by-laws. More information regarding the CNCA is available here. Cherokee Nation Community & Culture Outreach provides administrative, organizational, and cultural support. The CCO-COTTA program’s mission is to assist community organizations ability to increase their effectiveness; enhance essential services to those most in need, and build upon the organizational capacity of each community, diversify resources, and create collaborations to serve those in Cherokee Communities. More information regarding CCO is available here.